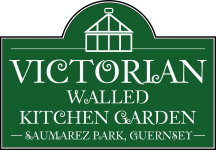 We’re looking forward to welcoming one and all at our annual Victorian Christmas Garden, here at the Walled Garden, Saumarez Park. On Saturday 10th December, from 11am until 4pm, sparkling lights will light up the glasshouses and our garden will be transformed for Christmas. There’s plenty of entertainment, including a performance by the Ukuladeez at 12 noon, together with a bevvy of mouthwatering vitals and refreshments. Bean Jar (and vegetarian Bean Jar), sausages, roast chestnuts, mulled fruit juice and teas and coffees are all for sale, together with Marion’s Mince Pies (an annual favourite), plus many delicious cakes to eat or take away. Children’s activities abound, with a traditional Father Christmas Grotto, parlour games, children’s Christmas crafts (let’s make reindeers, robins and snowmen), Christmas stories will be read and there’s a Tombola for the adults too. Our garden shop ‘La Choppe’ will be selling a fascinating selection of handmade Christmas craft items and unusual Christmas gifts. As always, our shelves will also be stocked with home-made jams and chutneys. Entry to the garden is free and donations are always welcome. And finally, a huge thank you to Earlswood Garden Centre, for supplying our Christmas trees! 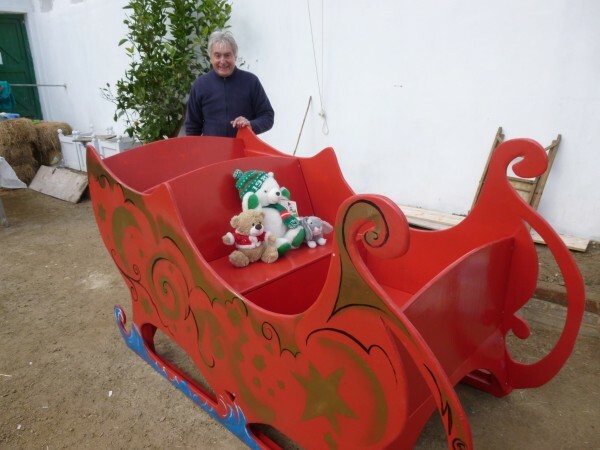 PS Our very own sleigh has arrived, made by volunteers Malcolm Heath and Bruce Wood, decorated by Mary Bairds!